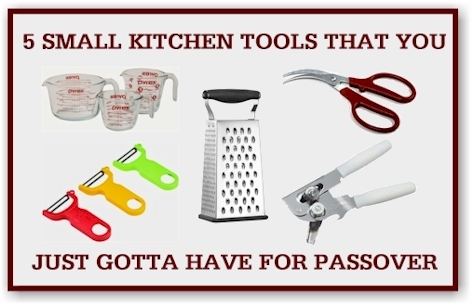 These are 5 small basic kitchen tools, ranging from $4.80 to $14.99, that I find indispensable in my Pesach kitchen. They are priced low, but none of them are "cheap," and they will hopefully last you through many future Passover holidays. Amazon has got this three-piece Pyrex measuring cup set for just $14.99 with free Prime shipping. This super-popular set got 4.6 out of 5 stars over 3,913 customer reviews and is an "Amazon's Choice" item. Really nice, practical set for Pesach; I'd split it them up into dairy, meat and a pareve one for baking. Four years ago, I had enough of my cheap peelers and I threw them all out and bought a set of Kuhn Rikon Swiss peelers instead. Peelers are something that you don't exactly think about too hard when replacing kitchenwares for Pesach, but they are indispensable as basic kitchen tools. I usually end up peeling about 25 lbs. of potatoes for Pesach, and I would rather be able to peel them quickly, efficiently and with as little of my own skin added to the peelings as possible. 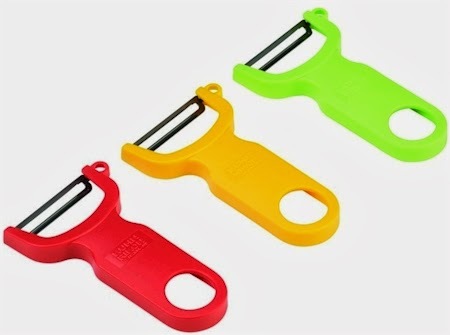 Amazon has a great deal on a set of three different color Kuhn Rikon Swiss peelers, $9.34 with free Prime shipping. Getting them in three different colors naturally lends itself to splitting them up between meat/dairy/pareve. If you bought these separately on Amazon, you'd pay more than $4.00 per peeler. These peelers got 4.1 out of 5 stars over 2,588 customer reviews, and this set is an "Amazon's Choice" item. Amazon has got the Cuisinart stainless steel box grater with a no-slip rubber bottom for $11.95 with free Prime shipping. 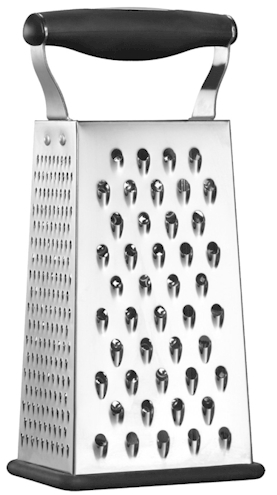 This grater got 4.6 out of 5 stars over 522 customer reviews. Yes, I'm actually posting a deal on a can opener. 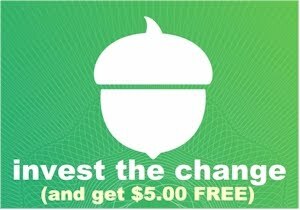 and if you've ever thrown away money on a cheap one that didn't work (as we did, twice), you'll understand why. A good can opener is just basic. This Swing-A-Way can opener is $9.90 with free Prime shipping. It got 4.2 out of 5 stars over 2,684 customer reviews, and this set is an "Amazon's Choice" item. 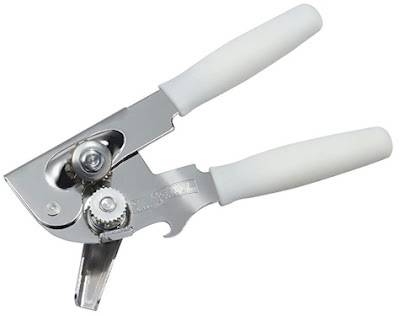 Swing-A-Way can openers come with a 5-year warranty. This is the can opener that we bought after we threw away the cheap ones. 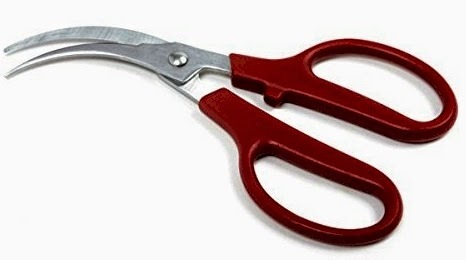 These Norpro seafood shears are only $4.75 with free Prime shipping on Amazon. Now I know some of you are wondering why this Orthodox Jewish, kosher-keeping girl is posting about seafood shears. I got into seafood shears years ago. They are much sharper than regular kitchen or chicken shears. They cut through bone, gristle, skin, and the toughest cooking jobs, I highly, highly recommend them instead of the usual kitchen shears, even if you've never cracked open a lobster in your life, LOL. They are also cheap enough so that when they become dull after a few years, you can toss them and get a new pair. 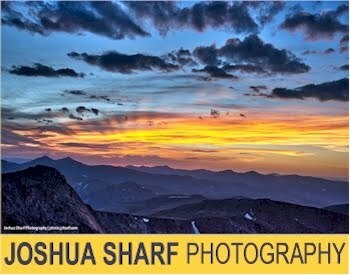 4.5 out of 5 stars over 88 customer reviews.